A half-timbered building on the left, a high gothic tower on the right, but why on earth does it suddenly smell so deliciously? 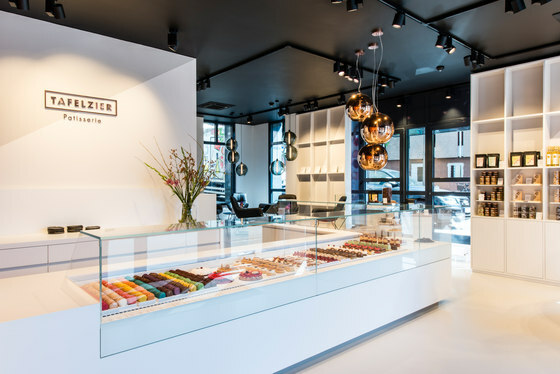 If you amble through the picturesque old town streets in Nuremberg and follow the scent of finest confectionery, sooner or later you will stand in front of the Patisserie Tafelzier – a land of milk and honey for the palate and the eye. 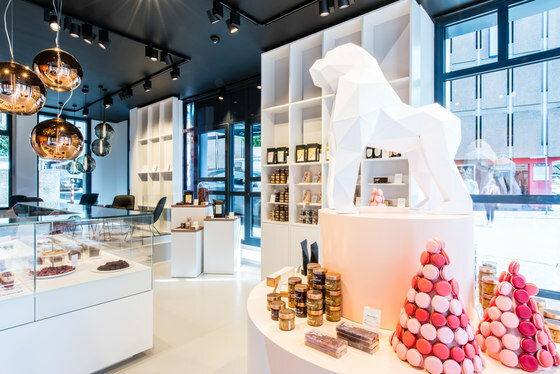 Finely decorated pralines, chocolate, macarons, tartlets or éclairs. 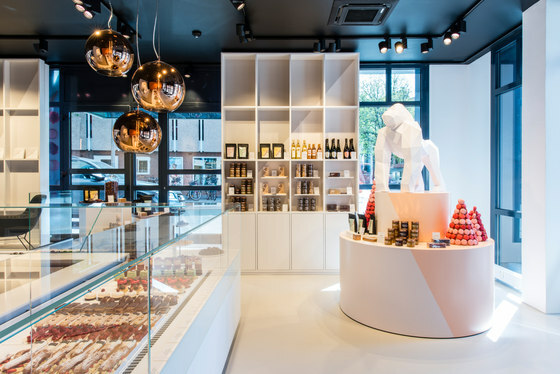 Already at the entrance, the eye is caught by the colourful and refined delicacies – small marvels of French confectionery. 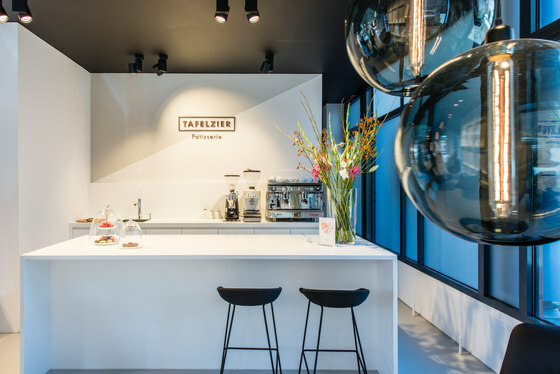 A visit to Tafelzier is also something special because the entire architecture and the sophisticated lighting concept are tailored to the products of confectioner Jens Brokerhoff. The ceiling is completely in black and therefore recedes into the background. 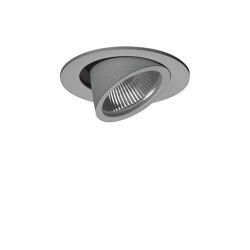 The LTS spotlights installed are also black and therefore disappear on the black ceiling surface. 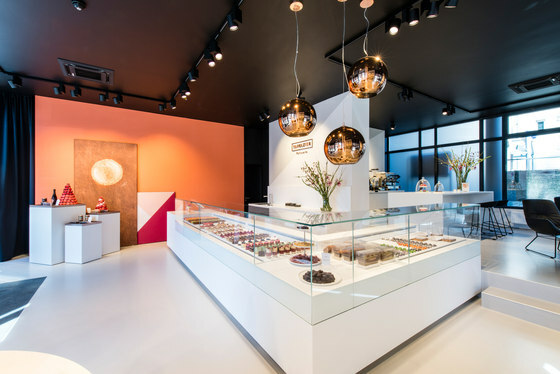 By contrast, the walls, furniture and the floor radiate in white, serving as an attractive passepartout for the colourful little calorie bombs. 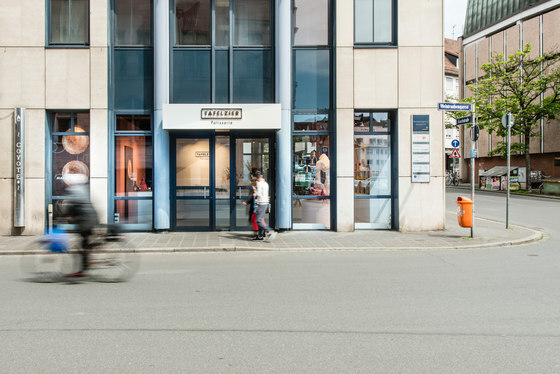 The Nuremberg-based architecture firm toc.designstudio was responsible for the implementation of the design. 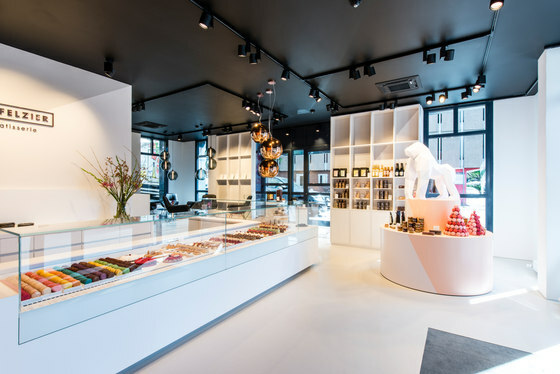 Interior architect Torsten Haardt explains the underlying idea: "We wanted to direct the visitors' focus entirely to the delicious products offered by Tafelzier. The contrast with the black ceiling highlights the delicacies in the white furniture even more intensively. 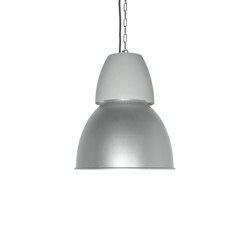 The lighting concept has a crucial role in this arrangement." 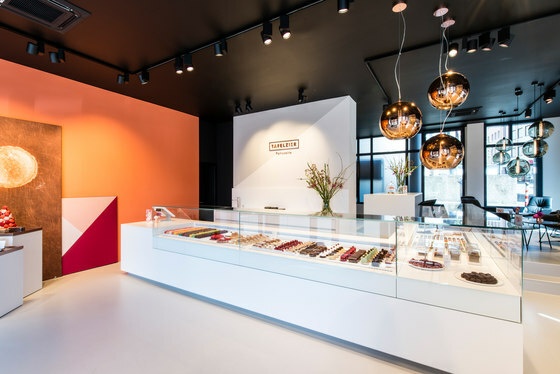 Confectioner Jens Brokerhof is an expert for things that taste well – the LTS company based in Tettnang is an expert for particularly attractive light. 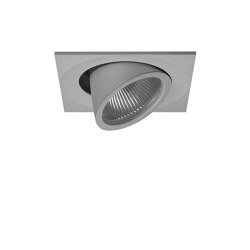 "In the first place, we wanted to keep the agreeable calmness in the rooms using only one luminaire type, if possible", says Torsten Haardt, who chose the Jett 100 track-mounted spotlights from LTS for exactly this reason. 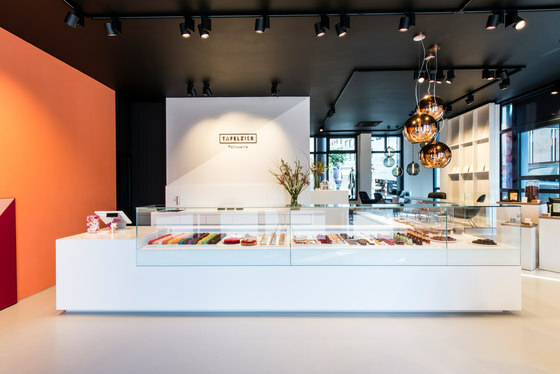 At the same time, the architect appreciates that this lighting concept is sufficiently flexible to permit different uses of the room in different seasons to present the confectionery. 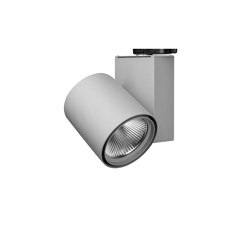 With its appropriate maximum rotation angle, the LTS Jett 100 lighting solution is perfectly suitable for this situation. Mounted to tracks, the light source can be moved freely. 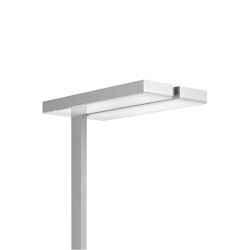 In addition, the three selectable beam angles of 25°, 35° or 50° contribute to its flexibility in application. 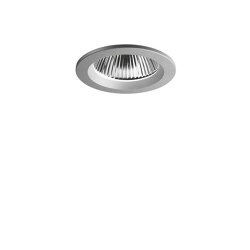 With its clear-cut design, the spotlight blends in harmoniously and unobtrusively with the shop concept and the light quality tuned to pastry products makes the products displayed appear particularly delicious and aromatic. The warmly lit lounge area, where furniture suites invite visitors to pause and have a coffee, evidences that lighting is key to the atmosphere of a room. 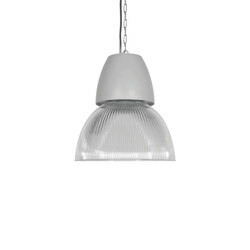 "Of course, the temperature management of Jett 100 is also important for the lighting concept for a confectionery. The sweet marvels remain perfectly in shape since Jett 100 does not radiate heat", explains Mr Haardt.